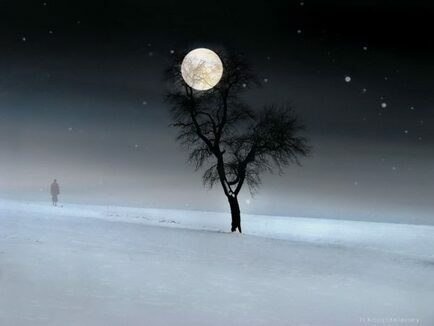 The Winter Solstice Full Moon is thought to be the most magickally powerful of the whole year. Place the cedar chips and cinnamon inside the cauldron. Shiny and round, bring me a boon. Draw to my hands many more of your kind. Multiply and grow, like the image in my mind. With me share your treasures here on this night. Success, prosperity, all I can hold. Place the coins and the herbs in the Talisman bag.